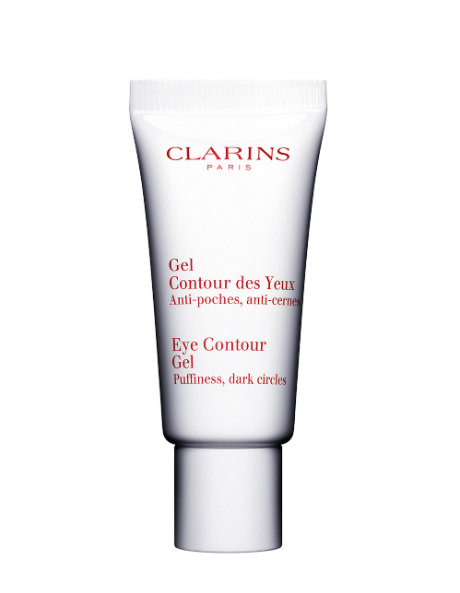 Clarins cooling, non-oily gel minimises the look of puffiness and dark circles refreshing, hydrating and resting the delicate skin around eyes. Wild Rose drains toxins tackle puffiness and dark circles. Concentrated Rose Water relaxes, softens and soothes. Palmetto refreshes, decongests and tones eyelids. Preps skin for perfect eye make-up application and lasting wear. Gentle enough for even the most sensitive eyes.